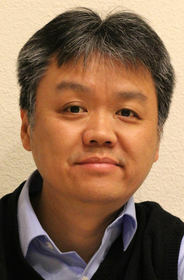 SAN MATEO, CA--(Marketwired - Jul 21, 2015) - EverString, a leading provider of predictive analytics for enterprise sales and marketing, today announced the appointment of Man Chan to lead EverString Predictive Labs, the company's data science team whose cutting-edge research is advancing the world of big data analytics as applied to B2B sales and marketing. Chan's data science expertise will be instrumental in speeding the application of artificial intelligence and machine learning to everyday marketing and sales problems, dramatically improving the efficiency and accuracy with which demand generation and sales professionals do their jobs. Chan previously held senior positions at data-driven organizations including BlueKai, Cisco, Netflix and Yahoo!. He spearheaded the innovations required to achieve several successful machine learning solutions at Internet scale: 2nd Generation Statistical ID at BlueKai, Security Analytics Cloud Architecture at Cisco Systems, personalized ranking algorithms and recommendation systems at Netflix, and real-time behavioral target ads systems for Yahoo!. Bringing over 12 years of data science and IT experience, Chan will lead EverString's growing Predictive Labs team, currently comprised of a group of data scientists at the top of their field. "We are thrilled for Man Chan to join the EverString Predictive Labs team and play a crucial role in furthering our cutting edge analytics, making it possible for us to truly deliver the value of data science as a service to marketers and sales," said Vincent Yang, CEO and co-founder of EverString. "Top-tier data scientists are among the most highly sought after talent in Silicon Valley, and we have built a team that the best data scientists in the world want to join. We look forward to Man's highly qualified leadership of our all-star team." EverString Predictive Labs is comprised of many of the world's leading data scientists, with PhDs from universities including Stanford University, UCLA and George Washington University. They hail from tech giants ranging from Google and Yahoo!, to GE and NASA. The team was constructed to optimize EverString's ability to deploy data science as a service for enterprise sales and marketing functions, and make EverString's predictive analytics capabilities the most scalable and accurate available. As the company continues its rapid growth, Chan's presence at the head of this team will contribute to EverString's most innovative product enhancements and capabilities to date. "EverString stood out to me as a company that is doing something genuinely fresh in the predictive analytics space," said Man Chan. "I'm delighted to join the team to not only help advance Predictive Labs, but also to have the opportunity to work alongside a group of the world's top data scientists." EverString helps build pipeline and increase conversion rates with the only account-based, full lifecycle, predictive platform for B2B sales and marketing. The EverString Decision Platform identifies your ideal customer profile and then uncovers buying signals for high-potential accounts both inside and outside your sales and marketing systems so that you can prioritize and engage with your best customer prospects. EverString is a SaaS intelligence layer that provides predictive scoring and predictive demand generation, empowering the predictive generation of marketers. EverString was founded in 2012 and is backed by leading investors including Lightspeed Venture Partners, Sequoia Capital and IDG Ventures. For more information, visit www.everstring.com.